It’s time for the annual Eliot Spring Clean-Up! On Sunday, May 17th from 11:00 am – 3:00 pm clean out your closets, unclutter your garage, organize your book shelves and recycle your outdated and broken electronics. Also bring us your used furniture, clothes, household items and old bicycles. This is the one Eliot Neighborhood Association fundraiser of the year so give generously. We will have dumpsters on site as well as electronics recycling by Green Century, household and building materials recycling by Habitat for Humanity’s ReStore, and an onsite yard sale/swap meet for those things too good to throw away. You just might find that one item that really puts the room together or completes your outfit. Here are the details so you can join in the effort to clean up Eliot and your house too! 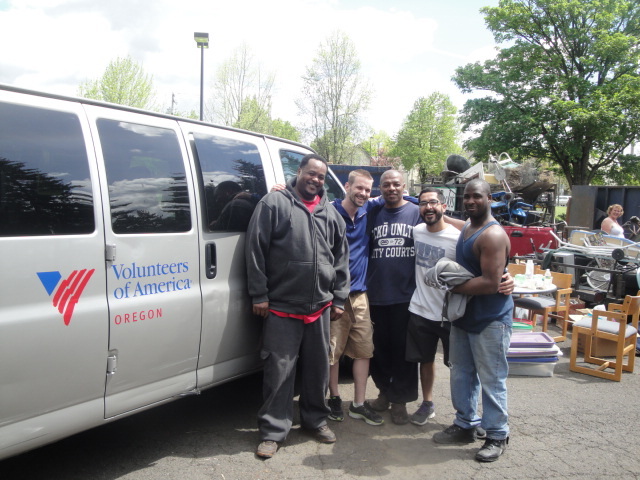 We CAN take furniture, debris and junk, scrap metal (please separate from other items), books, bicycles and parts, clothing and household items, electronics (anything with a cord). We can NOT take yard debris, dirt, stumps, hazardous materials, regular household garbage, ceiling tiles, and recyclables that go in your blue curb side bin. Want to volunteer? Have any questions? We need people the day of the event to unload materials into dumpsters, to sort, direct traffic, etc. There is also a walking trash pick-up event that day and we need volunteers for that too. Pitch in and help clean up Eliot! This clean-up is funded by Metro and the Northeast Coalition of Neighborhoods with help from Green Century Recycling, Heiberg Sanitation, Habitat for Humanity ReStore, Volunteers of America, and Legacy Health.